Home » Anime » Attack On Titan Season 3 Episode 3 | What to Expect from "Old Story"
Attack On Titan Season 3 Episode 3 | What to Expect from "Old Story"
Attack On Titan Season 3 Episode 3 will release on August 5th at 11am Pacific time and 11pm Pakistan Standard Time. Episode 2 was very exciting, even in the mid when we thought Jean had died. It was one of the very exciting and tense moments of the episode, apart from Levi vs Interior MPs fight at the very beginning. The preview of episode 3 was very much concentrated on the backstories of Historia Reiss and Erwin Smith. Both these characters are important members of the survey corps. However after going through social media pages and groups about Attack on Titan. I've found out some easter eggs about the backstories of these characters. Related: Attack On Titan Season 3 Episode 2 | What to Expect from "Pain"
Episode 2 had some flashback images shown when Sannes was being tortured. The first one of them being about a teacher who is apparently "too smart for his own good". According to Social Media posts and responses that man is supposed to be Erwin's father. Also the same person can be seen in the opening theme sitting with a young Erwin. The reason for his demise is not yet to be spoiled as it is an important part of the Attack on Titan universe. However, his death became the very reason for Erwin's joining of the survey corps. After that, the second person who most likely will be discussed is Freida Reiss, Historia's sister and the elder daughter of Rod Reiss. She can be seen in the opening theme and the ending theme songs in a couple shots including one with Historia. According to social media sources, she is an important part of the family of Reiss and will play an important part in this arc. Also another important figure from Historia's past is her mother who apparently was the king's mistress until she was killed. A glimpse of her death is also seen in the flashback of Sannes's torture. 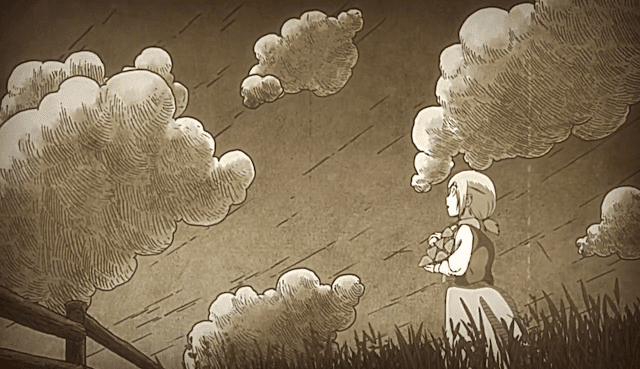 Although dead, she will play an important part in Historia's backstory. These are all the expected stories I could find for the upcoming episode. Hope you enjoyed the Attack On Titan Season 3 Episode 3 | What to Expect from "Old Story" article. Don't forget to follow my Attack on Titan Memes page on facebook and my blog Ali Khan Blogs on facebook & Twitter.